The book is also an important historic document that puts two decades of theater under a microscope. Perloff is primarily a San Francisco theater producer and artist, and the microscope’s sharpest focus is understandably on that city. Of course, a microscopic view sometimes gives too many details for a reader who is not an historian or academic to appreciate, but that doesn’t take away from the book’s overall value. The author’s writing style is not always smooth. An autobiography can have the narrative flow of a novel. Beautiful Chaos sometimes achieves that flow, but frequently has the dry and staccato rhythm of a report. The result is multiple sections that feel cluttered. Perloff loves lists. She praises her adopted city by offering a laundry list of the exciting theater companies and artists she admires there. She offers thanks and a bow to the actors, directors, playwrights, producers, and donors she has encountered by mentioning all of them. It is not exactly name-dropping since Perloff is clearly above or equal to most of the people she honors in this way. It is more a case of name-insertion, and it can leave the non-San Francisco centered reader in a state of confusion. Nonetheless, some of the names she inserts are more than worthy of attention. Among those are her up close and personal recollections of her collaborations with such theater giants as Tom Stoppard, Harold Pinter, and Robert Wilson. These reminiscences are true gems, and author Perloff’s detailed insights are valuable to anyone with an interest in contemporary theater. There are a number of personal moments in the book that glow. In chapter four, the author describes her first view of her new San Francisco home, the historic Geary Theater. The early 1900s building was severely damaged by the 1989 Loma Prieta earthquake that hit the San Francisco Bay Area. Her descriptions, colored by her early studies of archeology, are close to poetic. She expresses relief that the stage crew was out of the building on a supper break when the big tremor hit, but then disturbs the mood with an unnecessary bit of schadenfreude over the fact that the most seriously crushed section of seats was where the theater critics usually sat. That’s how she felt at the moment, and she lets it show. As she points out, “. . . the intersection of personal feelings with public expression is where the story is.” Carey Perloff never hesitates to find and tell the highlights of the story. That confluence of feelings and their public expression brings the book to life most effectively when the author sets aside her self-appointed duty to mention and thank the myriad coworkers, donors, and mentors. 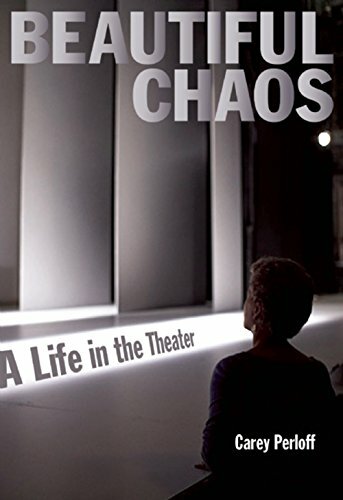 Her most personal tales of being a working mother in the beautiful chaos that is theater and her stories of being a woman in that world struggling for equality are among the book’s most vibrant moments. Her stated objective is to encourage women who are in her own profession; and this theme, articulated in her voice, could make an important book on its own. “I have slowly begun to understand the depth of the gender-disparity issue in the American theater,” she says. Perloff raises her voice in support of women in the workplace, in support of arts and artists, and, again and again, in support of live theater. The book is about a passion for theater that has seldom wavered for two decades. The reader will come away understanding how Carey Perloff’s leadership of American Conservatory Theater is one of the reasons San Francisco remains a respected center of the art form in our country.